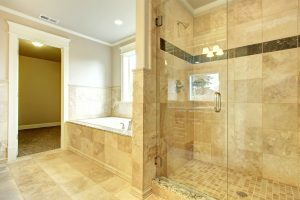 For over 20 years, this group of professionals has been providing quality tile, flooring and cabinet, name-brand products at great prices to customers in the Las Vegas valley. In 2016, we came together to form InStyle Flooring and Designs. We provide design services to residential and business customers with a wide selection of products suitable for homes, small businesses, organizations and commercial applications. 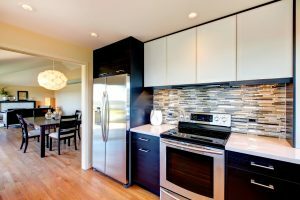 Our line of quality, name-brand products includes: Area Rugs, Carpet, Hardwood, Laminate, Tile, Vinyl Flooring, Natural Stone, Quartz, Granite, and Cabinetry. The company provides shop-at-home convenience or on-site consultation, quality products at great prices, and world-class service and customer satisfaction. InStyle Flooring and Designs makes the product selection very convenient for our customers by bringing samples to their home or place of business. This allows our customers to match the samples with their existing décor and color palette. Customers can see the samples in their environment’s lighting and envision the ambiance the new products will create. Our customers receive a very personal design consultation. No need to leave your home or find a babysitter. 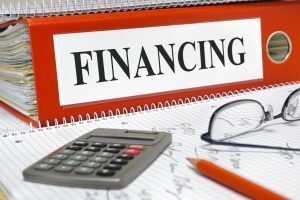 Investments in your properties are extremely valuable, and also at times, unavoidable. InStyle Flooring and Designs can help you replace your old carpet or flooring with quality cost-effective products from leading manufacturers. InStyle can improve your property’s presentation and increase their desirability at a price you can afford. As a leading provider of home furnishing products and materials for over 20 years, InStyle has the expertise to handle the unique needs of managed properties. One of the greatest advantages of working with InStyle is the flexibility we offer when it comes to scheduling your product delivery. We offer measures within 24-48 hours and in most cases, we can even have your materials delivered within 24 hours. But in every case, we strive to keep inconvenience and disruptions to a minimum. At InStyle Flooring and Designs, we understand the pressure of a project being on time and on budget. We work with the General Contractor’s team to ensure that the project is on schedule and supply all necessary documentation. We accept blueprints by paper or electronically. 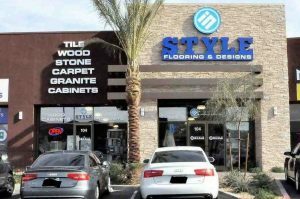 The Sales Specialist at InStyle Flooring and Designs will help you select commercial-grade flooring products that offer the easiest maintenance, highest performance and most durability for your budget. We offer flexibility in scheduling to accommodate your facility’s needs and hours. For waiting rooms, offices and conferences rooms, you’ll find quality, name-brand products in both broadloom and modular styles, to deliver the look you want, regardless of size or configuration. Plus, all of our products come with manufacturer product warranties, which are passed along to you. InStyle Flooring and Designs has the expertise you want to meet your flooring materials needs. We are familiar with the challenges your surfaces and material face and how to get these materials at deep discounts. Our team is frequently asked to order volumes of materials with Axminster patterns, popular in hotel ballrooms and restaurants on the Las Vegas Strip. 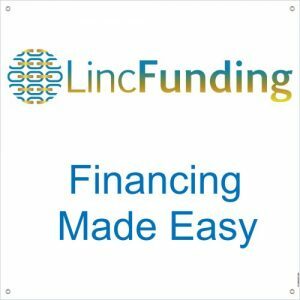 We pass our volume discounts over to you, helping maintain your budgeted goals. Some of your favorite retail stores are the result of our work! Ask your consultant about similar stores and popular styles. For medical or healthcare office needs, InStyle Flooring and Designs offers a wide array of laminate, vinyl, tile flooring options, & more. These products are ideal for examination rooms, procedure rooms, hallways and common areas. From conference rooms and offices to waiting areas, InStyle Flooring and Designs provides the top quality flooring to meet the needs of your business. Design Consultation – We help design your space right from the beginning. Planning – We will work with your schedule and other trades to complete your project on time. Estimating– We strive to offer an optimal seaming diagram–this keeps seams, cuts, and required product to a minimum and esthetic appeal to a maximum. Warehousing – A local warehouse to store inventory and state of the art cutting machine. Product Maintenance – We can offer you the manufacturer’s suggested recommendation on how to preserve your new flooring.